You can commission your own portrait or that of an other person from £300. These portraits are set on a canvas and protected with a clear cover. 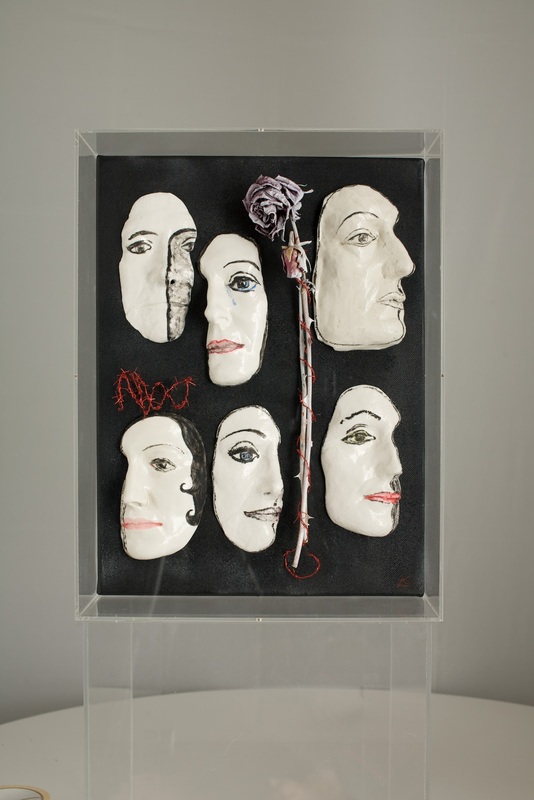 They are composed of a mask of the person to be portraid, made in porcelain ,plus a number of items which can be "found" objects or porcelain objects and that in your view are relevant to the identity of the person portraid. 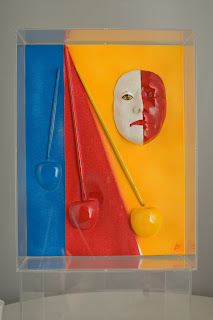 Here are a few pictures of my new work "symbolic portraits". You may commission your own portrait from £300.